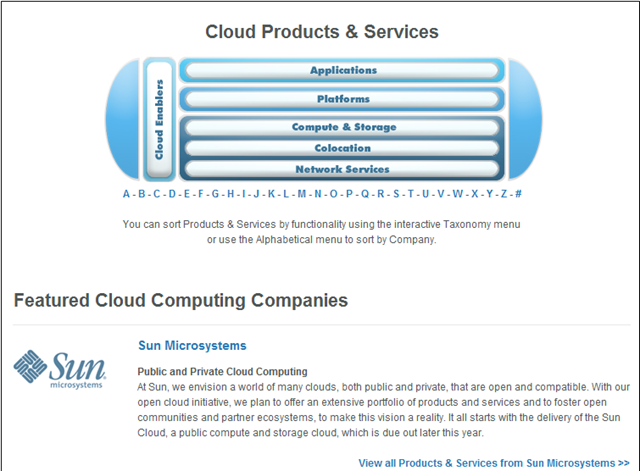 Sun Cloud was an on-demand Cloud computing service at one dollar per hour charge. The diversity and complexity of cloud in the past three years since that time. Sun Cloud was for enterprise grade resources over the Internet, enabling the developers, researchers, scientists and businesses to accelerate innovation without investment in IT infrastructure. Sun Cloud closed officially on a Sunday, on March 7, 2010. It has been 3 years since then. Experience shows that the companies whose executives intensively worked for the underlying technologies and not only for the cost aspects of cloud computing interest, usually successful in the implementation of the first initiatives and projects. So it turned out that CIOs and cloud project with a strong private development and technological know their administration teams and software developers much more likely to convince them of the new offerings. Regarding the various cloud operating models, i.e. the manner in which the underlying IT infrastructure stacks are constructed and operated, the operational reality is at midnight’. So just medium and large enterprises only in parts – for example, for certain classes of workload – willing to share their computational power of public IaaS platforms. In general, there are clear requirements for managed environments, their SLAs are similar to those of the classic Enterprise hosting. However, the SLA deceives and also hide the fact that SLA per se is not a protection against failures and poor availability. You can compensate for only part of the costs incurred, and only the significant part of non-delivered IT infrastructure services. The hard costs of failure continue to the user. SLAs play a central role, but it can be seen as a flag of credit, the importance of the cloud service provider is customer satisfaction and how much they relies on their excellence. We can recall our old writings on Sun Cloud Computing, but unfortunately, the service is closed forever. This Article Has Been Shared 6156 Times! Cite this article as: Abhishek Ghosh, "Sun and Cloud : The Story of Sun Cloud Computing," in The Customize Windows, March 5, 2013, April 19, 2019, https://thecustomizewindows.com/2013/03/sun-and-cloud-the-story-of-sun-cloud-computing/.